I want my mantou in red and green colour.But i don't want put colouring.I want a healthy mantou.Green part i use pandan juice.I think what can i put to make my mantou in red.....So i find inside my ingrendients box,see what i have with red colour.Yes..........i found one bottle of red yeast.I bought it for my red yeast butter cake. 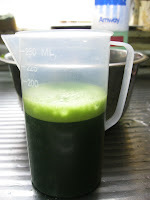 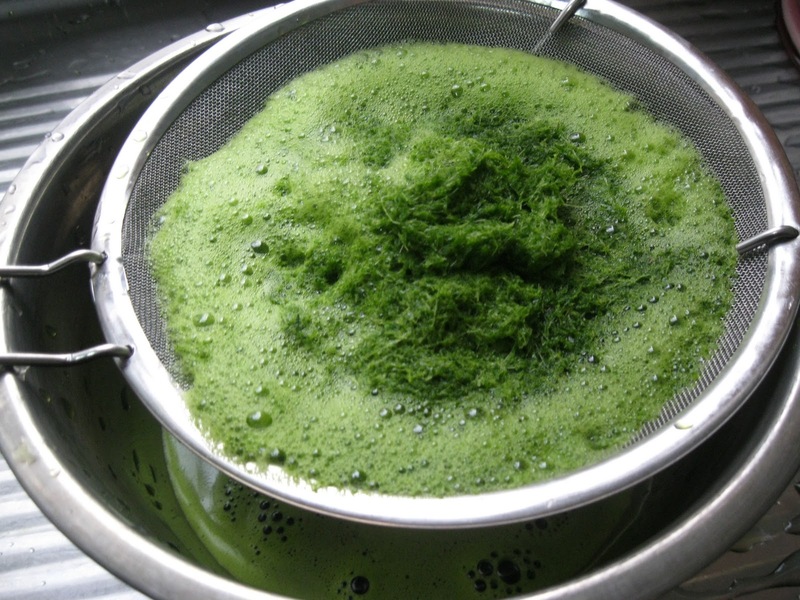 I use 20pcs pandan leaf.That why it in dark green. 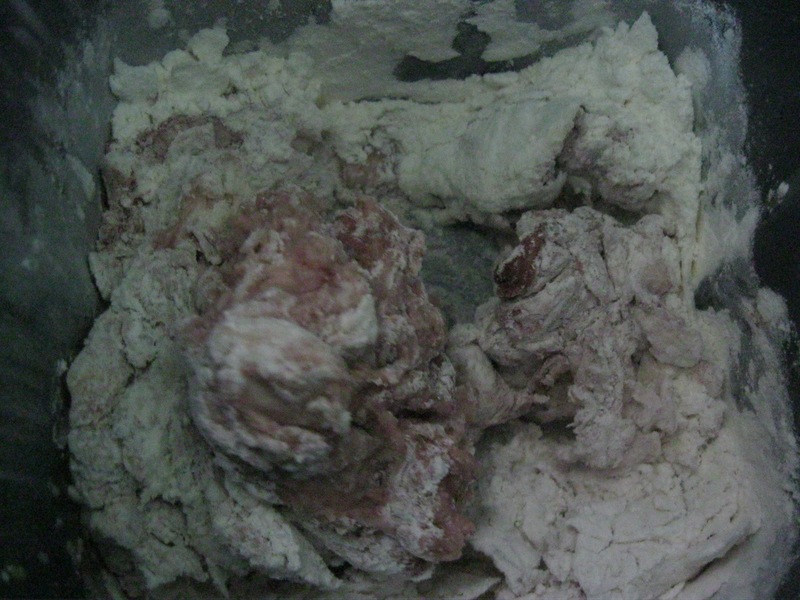 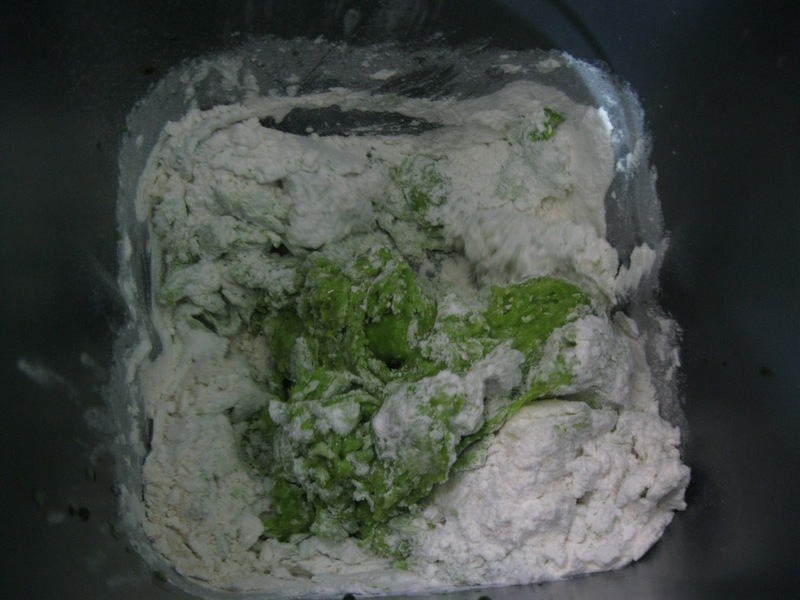 Blend dough ingredients into smooth dough. 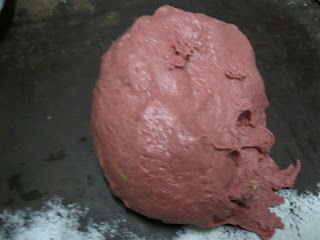 Divide dough to 2 portion. 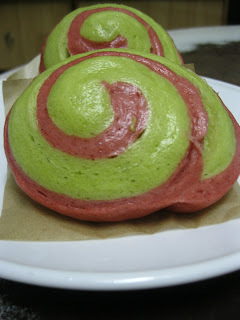 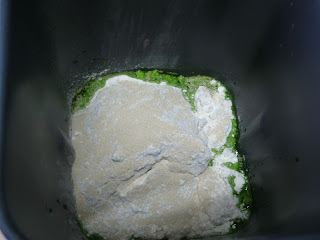 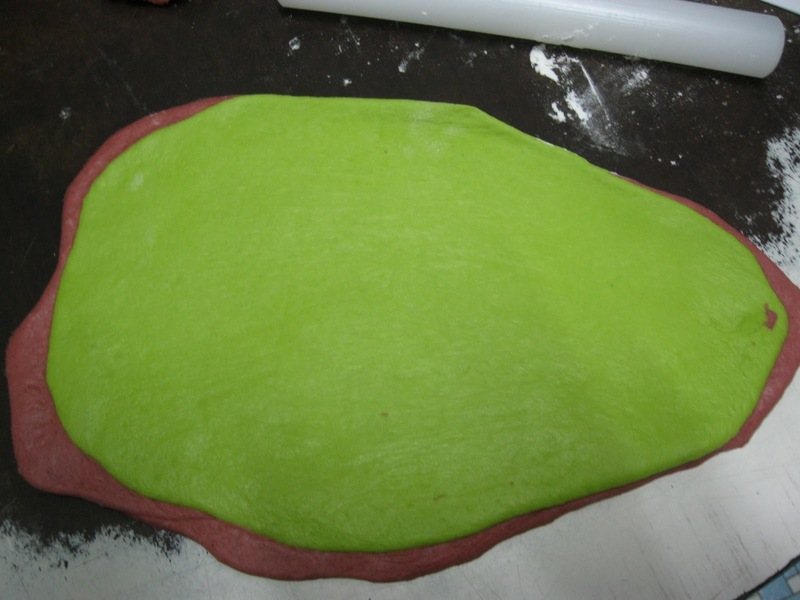 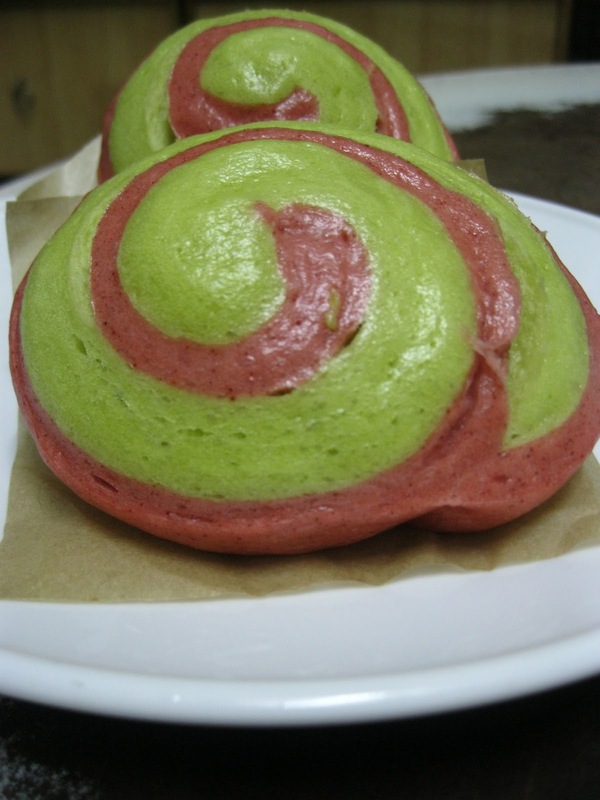 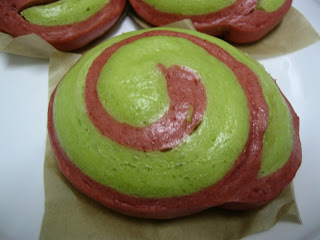 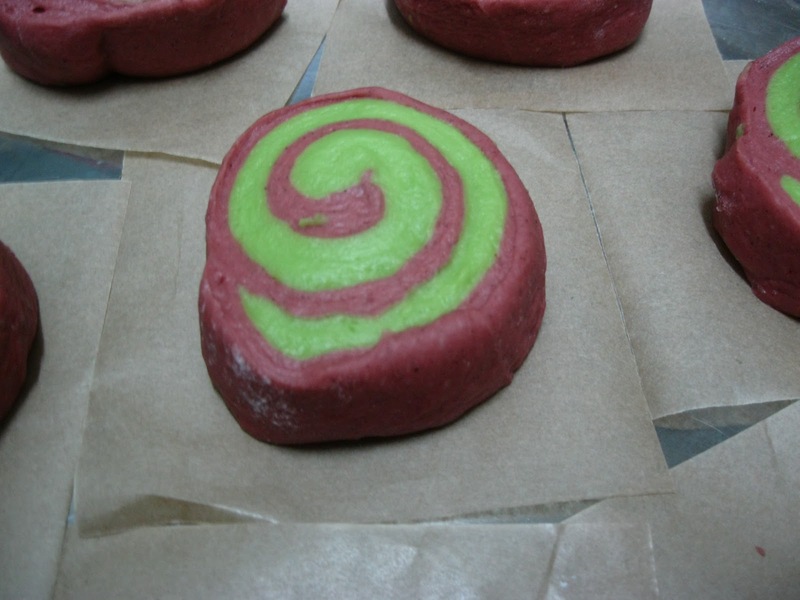 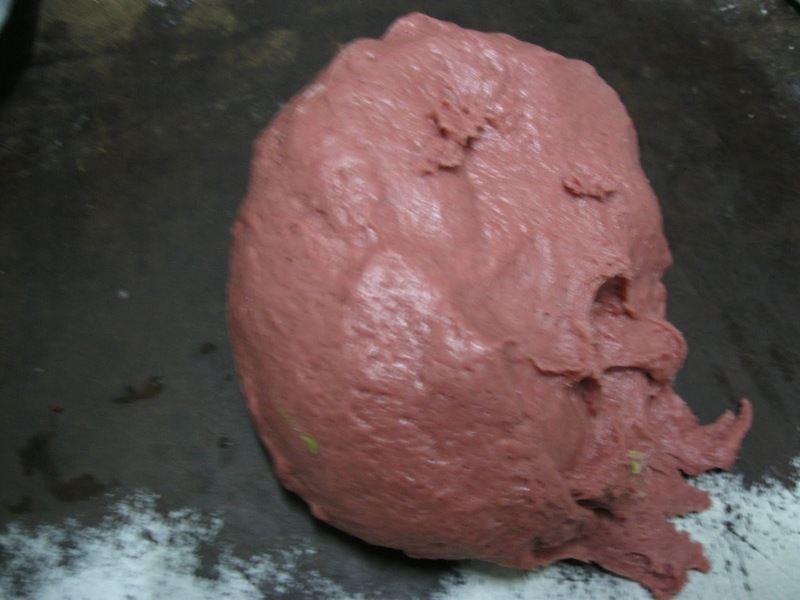 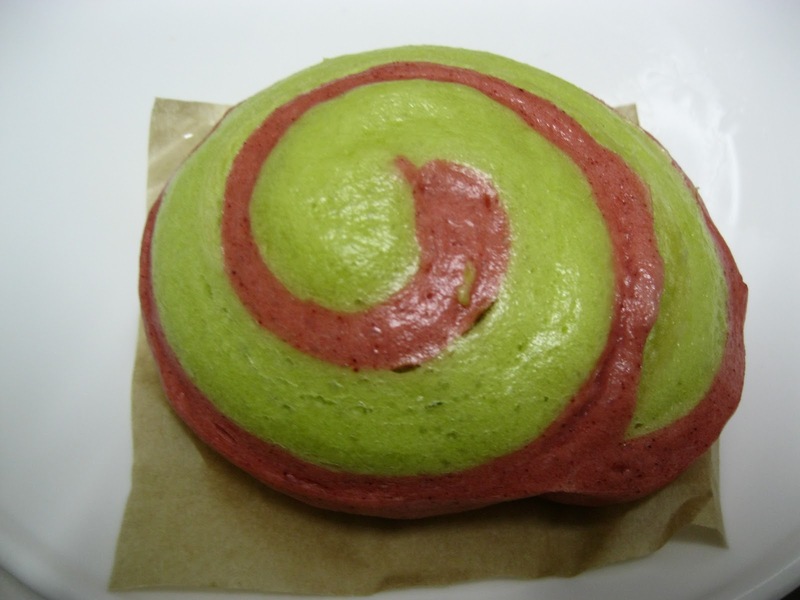 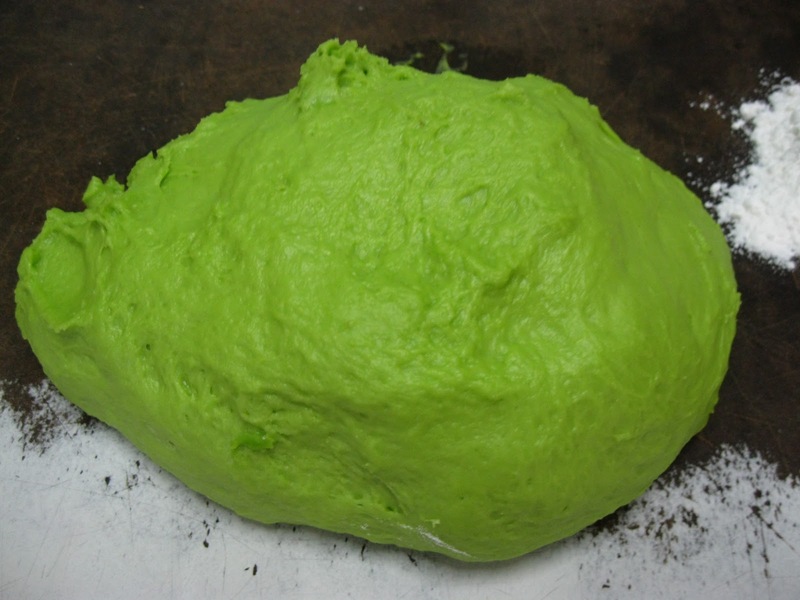 Flatten the dough.Put the green dough on the red dough. 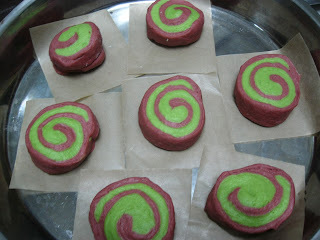 Cut the rolled dough into small pieces.About 3cm.Let rise for 15 minutes. 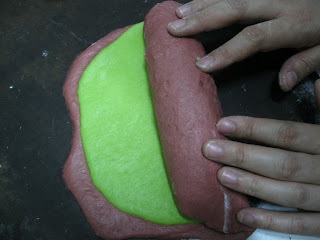 Then steam the mantou for 7-8 minutes.Serve hot. 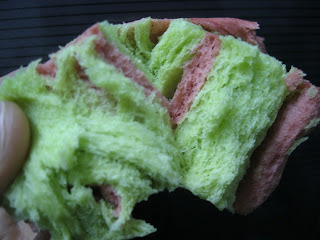 Love the natural colours used.